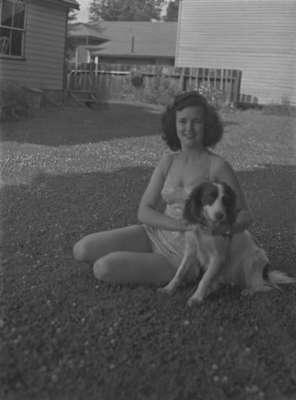 Darlene Hodgson sitting with a dog. Miss Whitby 1946, June 26, 1946, Marjorie Ruddy. Whitby Archives A2013_040_1199.